This watercolor was painted specifically with my mom in mind. 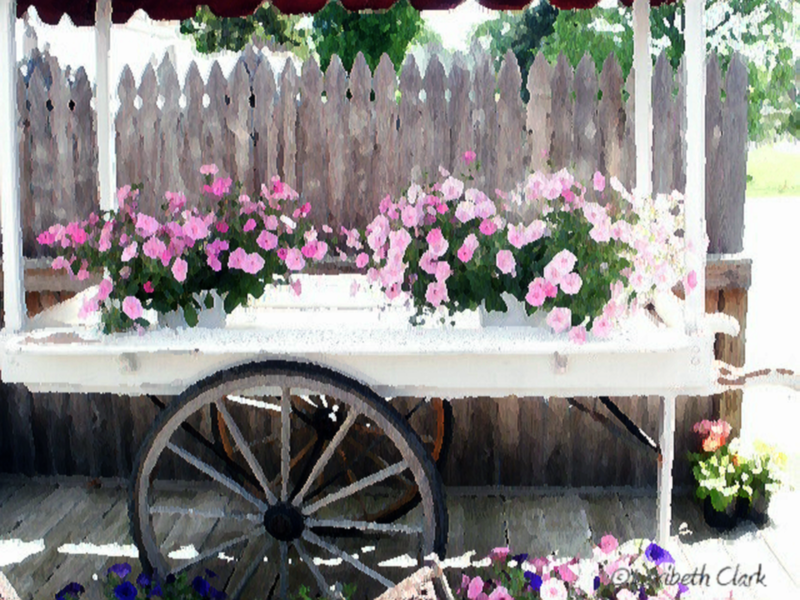 I took a picture of this cart when my mom and I took a trip to Shipshewana together a few years ago. I took it with the idea I would paint it with acrylics, but then I started sketching it with watercolor pencils just for fun. Then, when I saw how beautiful it turned out, I got out my paintbrushes and water, and went to work turning it into a painting. I love using watercolor pencils. I can get so much detail that can’t be achieved with watercolor paints. Yet, I still get what I consider the ‘romance’ of watercolor. You can’t get that with any other medium. Anyway, I gave this watercolor to my mom this past Christmas, and she loved it.